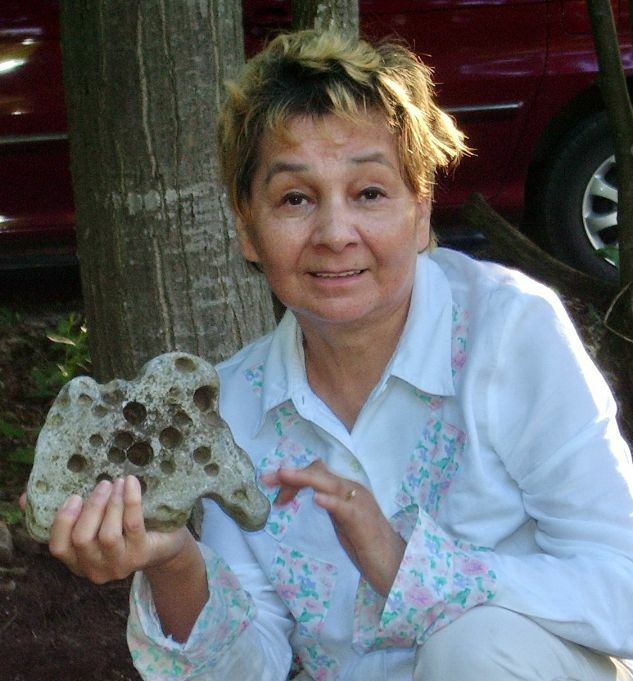 Grafner, Constance Ursula (nee Pedoniquott) – born Jan. 21, 1937 at Cape Croker Indian Reserve to Alice and Sylvester Solomon, passed peacefully at Grey Bruce Health Services Owen Sound at the age of 77. Beloved wife and best friend of 51 years to Peter Grafner. Loving mother of Tania Grafner, of Neyaashiinigmiing, Wayne Grafner, of Stouffville, and Talitha Grafner-Cirou, of Naples, FL. Proud grandmother of Jason Grafner, and Branden and Skylar Cirou. Sister of Norris Chegahno, of Owen Sound. She is predeceased by her parents, and sisters Bernice Prendergast, and Sylvia Akiwenzie. She will be fondly remembered by her nieces Faye Mitchell, Angie Akiwenzie, Kim Akiwenzie and nephew Ronald Akiwenzie. Cousin of Earl Heinig and LaVerne Solomon. Visitation to occur Wednesday evening from 7-9 PM at the Maadookii Senior Centre. A funeral Mass will be celebrated at St. Mary’s Catholic Church, Cape Croker, on Thursday May 15 at 11 o’clock. Cremation to follow. As your expression of sympathy, donations to the Canadian Cancer Society would be appreciated. Arrangements entrusted to the Thomas C. Whitcroft Funeral Home & Chapel, 814 Bruce Rd. 8, Sauble Beach (519) 422-0041.